It is never too late starting play chess. Whether you are too young or too old, chess is a game for everyone; it’s a game for you! Chess is the most popular board game in the world and is considered to be the king of board games. If you do not know anything about it or just want to learn more rules and strategies, then you are in the right place. Just keep reading and studying the free lessons, they will help you a lot to achieve you primary goal, to learn chess. We provide chess training in a systematic way which helps you as a student to go forward, improve; not only to become a better player but also a better person in real life. Chess is not a game for smart people, but it's a game, a tool, which can makes us smarter! By saying smart I mean that it force us to use our minds. It makes us more intelligent, as through this spiritual game we develop the most important muscle of our body, the brain. With chess you will learn how to be careful, observe and concentrating. If you are not following closely the exercises then you will not be able to respond correctly, so you will slowly down. Be focus on you will perform better. The same could happen in a real game; if you stay focus you’ll play correctly. If you lose your concentration then, probably, you will lose a piece. Losing a piece, with normal chess standards, means that you will lose the game. With chess you will learn to think first and act later, not vice versa. From the next lessons you will learn how to think of several moves ahead, how to develop patience, seriousness, and have better time control. You will learn how to hold back your spontaneity and not turn the first idea that comes in your mind into an immediately action. By learning chess, we learn the alternative options, evaluate every situation that appears, look at the pros and cons, and then, we use our brains follow the techniques which you will learn and you come to the right conclusion, the right move. Visualization is a very important technique used by chess players at any level. With simply words we have to imagine a series of moves ahead and actions before they happen. Sometimes good chess players can see 10 to 15 moves ahead. However, to get to this level we need practice and make a gradual work, i.e. step by step. I can show you an easy, quick and effective way to get it done. If someone wants to improve, in any aspect of life, he has to evaluate the results. What did go well and what no? What he had done better? How can he analyze his own game and how can this analysis help him for the next one? All these questions you should consider and answer in a concrete and methodical way. I hope that you dreamed something important or you have your own very specific goals, am I right? The hhigh goals and success are things that everybody wants. However, in order to achieve them, we must have an active plan; with simple words to draw how to achieve them. The plan is the steps we should take care in order to achieve our goal. It is one of the key elements that we are study and constantly develop by learn chess. When the time comes you will learn how to make right plans; you will not only play good chess games, but you will be able to achieve any personal goal, which you dreams or want, and this is how chess can help you! 2. Opening - Here you will learn about opening systems; from the Great Napoleon (mate in 4 moves) even to the most modern openings. 3. Middlegame - Here you will learn how to use tactic and strategy to your advantage. 4. Endgame - Here you will learn how to play at the final stage of the game. With simple words, how to close the deal, how to get the victory! 5. 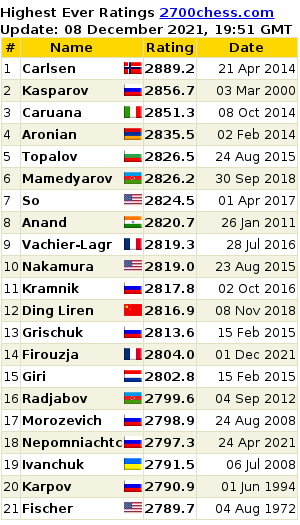 The best players in chess. Here you can learn and study the best chess players in the world. You will learn for their life, they best combinations and you can create your Hero! 6. Practical training. Of course little practice never harms. If you train correctly, you will be able to apply everything you have learned in practice. Aggelos Kesaris, an active chess coach. He teaches Greek students from 2003. He worked in different chess clubs. At current times, he is taking lessons on Dias Petroupolis, the biggest club in Greece with more than 500 members. In 2017, he created a chess club, Pyrros Ioanninon; he holds the president position. He works on RCA from 2011 in different positions. Currently, he is working on the Academy Department, helping other titled authors to create quality chess courses.